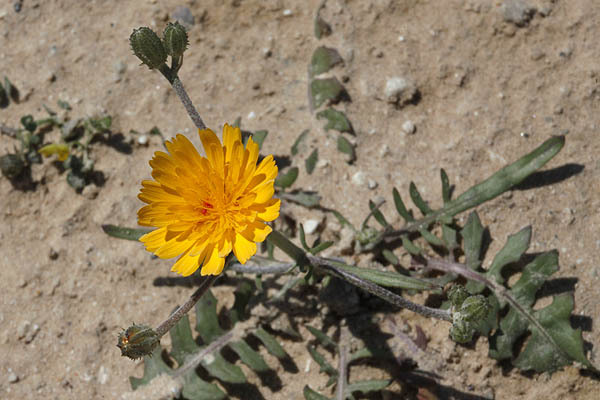 Scientific name: Crepis aculeata (DC.) Boiss. 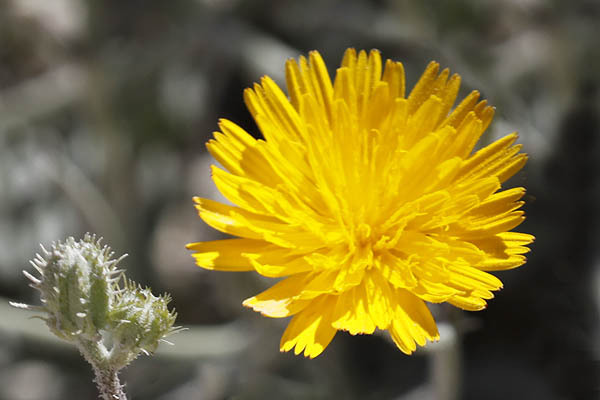 Crepis, Greek krepis, krepidos "a boot, foundation, pedestal," Latin crepis for an unknown plant (Plinius); Theophrastus used krepis for oxtongue, Helminthia echioides (Theophrastus, Enquiry into plants, book VII. viii. 3). 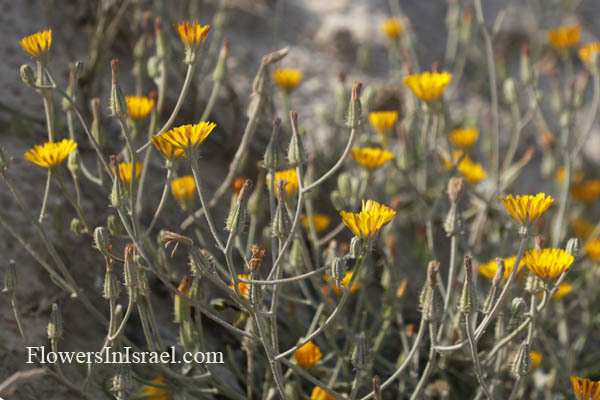 aculeata, with prickles or stings, spine-like; prickly. Barkhausia, named for Johann Conrad Barkhausen (1666-1723), Professor of Chemistry at the University of Utrecht. The standard author abbreviation DC. is used to indicate Augustin Pyramus de Candolle (1778 – 1841), a Swiss botanist. The standard author abbreviation >Desf. is used to indicate René Louiche Desfontaines (1750 – 1833), a French botanist. The standard author abbreviation >Pers. is used to indicate Christiaan Hendrik Persoon (1761 – 1836), a mycologist, born in South Africa.